Teampac is a contract manufacturer of healthcare, cosmetics and hygiene products. Choose one of Teampac’s standard product solutions or let us plan and manufacture your new products from scratch. You can also outsource a specific part of your production to us. We enhance your company’s brand by coming up with fresh ideas for products, whether you’re looking to launch a new product series or update an existing one. Our expertise in concept management considerably reduces time to market. Meticulous product development is key to the success of any product. Our experts will help you define the ideal formulation and select high quality, compatible ingredients. Finally, we’ll deliver packaging to match your brand. We also provide a variety of tried and tested product concepts, which can be tailored according to your needs and your brand. We are happy to customise the most challenging of wet wipe, gel, cream and other liquid-based products for you. What’s more, we offer sachet solutions to support branding initiatives or product launches. 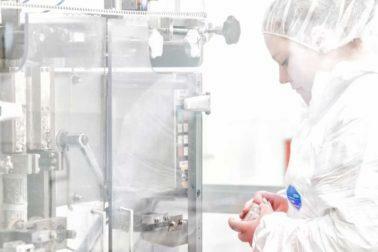 Teampac is the leading contract manufacturer of liquid-based medical products in the Nordic countries. As our customers’ trusted partner, we offer an efficient and cost-effective production process, testing and documentation for healthcare solutions as well as hygiene and cosmetics products. Our goal is to operate seamlessly and reliably as part of your product chain, while resolving production-related challenges on your behalf. The quality and compliance of our processes are ensured by ISO standard audits. As a partner in all or part of our customers’ production, we enable their business to thrive. Besides helping optimise production capacity where in-house capacity is limited, we can manufacture any products that are not suited to the customer’s own production processes. With production in our safe hands, our customers can focus on their core expertise – and their bottom line. Our operations adhere to ISO 9001, ISO 13485 and ISO 22716 quality standards. When necessary, our products can fulfil the criteria of the Nordic Swan Ecolabel and the Allergy, Skin and Asthma Federation. Teampac is the only Nordic manufacturer of Nordic Swan Ecolabel certified wet wipes. 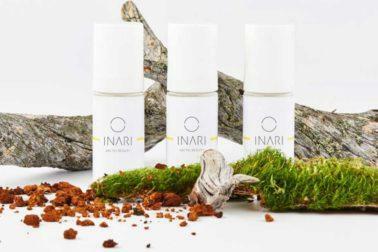 We also manufacture certified natural and organic cosmetic products (COSMOS).